Going for walks with my dogs up in the countryside surrounding me is really quite breathtaking at the moment, one of my favourite times of year here in Mallorca. The weather has cooled so that you can go for walks at whatever time of day you like, rather than having to wait until the evening (or early in the morning, which I have never been much good at). 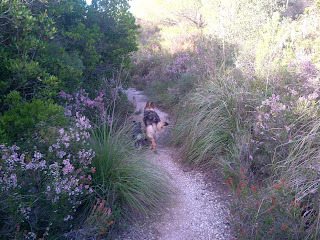 There is such an abundance of Heather along all the tracks and hillsides. 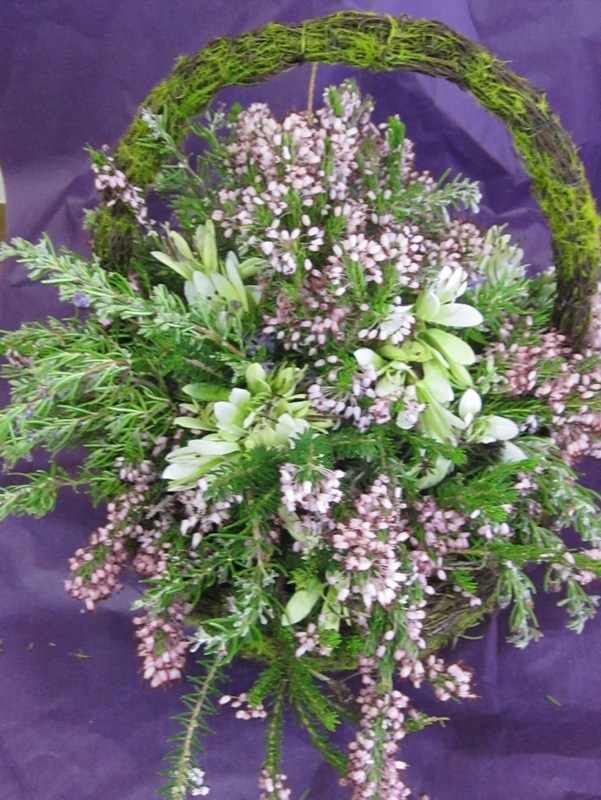 The wild heather ranges from mauves through to pinks and the shrubby headrows are awash with it at the moment. Within five minutes of chopping you could have a huge basket full. This plant grows so abundantly that I never feel bad about cutting it – there are 30 seeds in a Heather flower, so all in all there are approximately 150,000 seeds in each plant. Alongside all the lovely Heather is also wild flowering Rosemary, with small blue flowers. 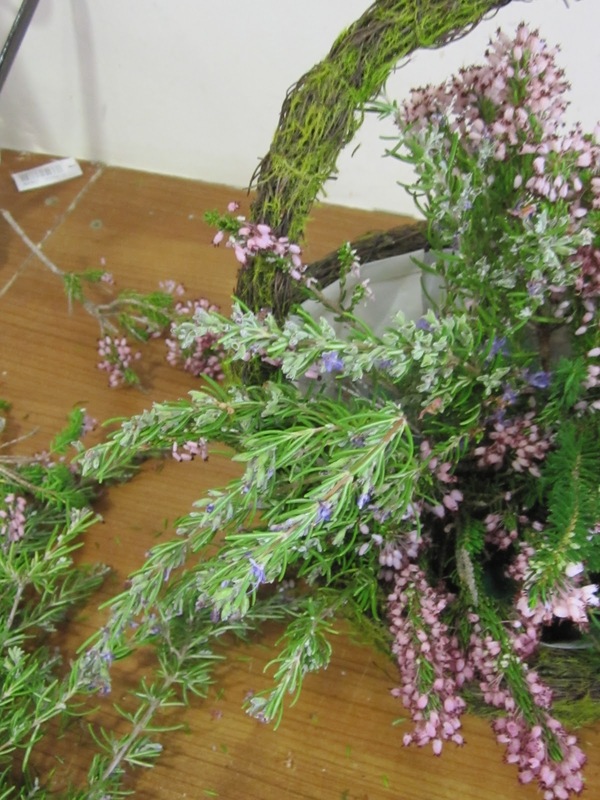 So to bring a bit of the beautiful countryside into your home cut a handful of the Rosemary and lots of Heather. 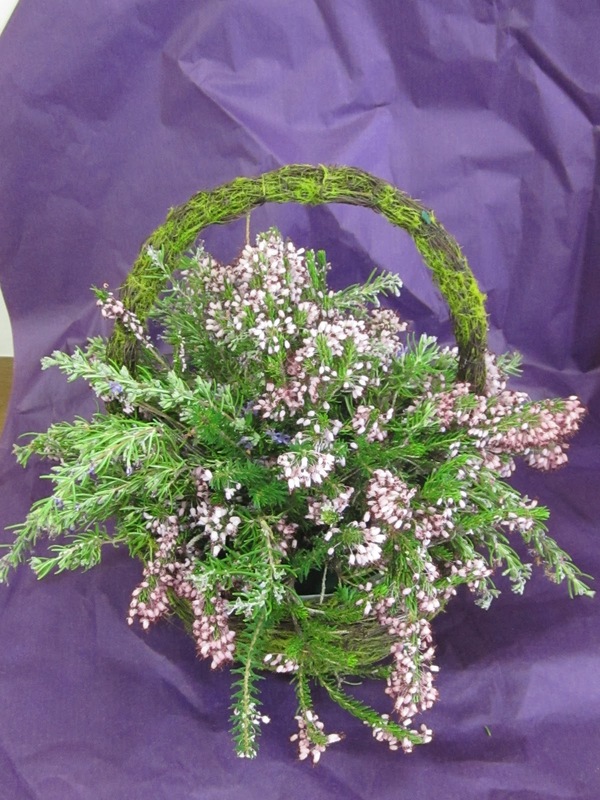 I think that Heather looks particularly lovely in a natural basket. 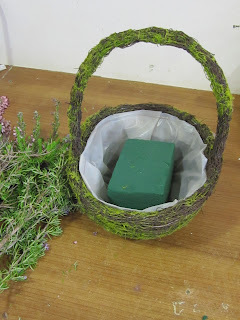 Here I have an oval shaped wicker moss basket. This basket I have lined with plastic to make it watertight. Soak a square of oasis in water and then secure it into the centre of the basket, lower than the edge of the basket. The flowers should be grouped together, exactly as you would see them in the wild, so cut a few pieces of Heather and insert them firmly into the oasis, then take a clump of the whild Rosemary and put this together in a clump near the handle. Keep working your way around the basket filling in the gaps. The Heather lends itself really well to creeping over the edge of the basket as it naturally grows and bends this way. We are using a lot of artificial flowers at the moment for various clients and here you can see how, when they are tucked in with fresh flowers, they can work quite well. I have taken individual florets of a large bloom and placed them in amongst the shrubs, lightening it up a bit. This would also make a lovely, inexpensive gift for a friend. Enjoy your Fabulous Flowers for this week!